Writing is the most essential form of human expression. Even when we lack the courage to say what we feel, we can always count on a card, note, or text to help us cross an unsteady emotional bridge. On Memorial Day this concept especially resonates with me. As a writer of lesbian fiction and essays, where would I be without the freedom of expression? Where would any of us be without it? If so many men and women hadn’t risked and ultimately sacrificed their lives fighting for the freedoms we enjoy as part of the American way, we’d live in a society where voicing our opinions on topics we feel so passionately about could get us killed. Sounds incomprehensible, but for too many, it’s fact. And imagine a world in which we couldn’t air our indignation at or pride in America through social media debates that settle nothing in the grand scheme of things–ok, bad example, but you know what I mean. At the very least, those social media exchanges give us pause to think and consider a different viewpoint–at least I hope they do. 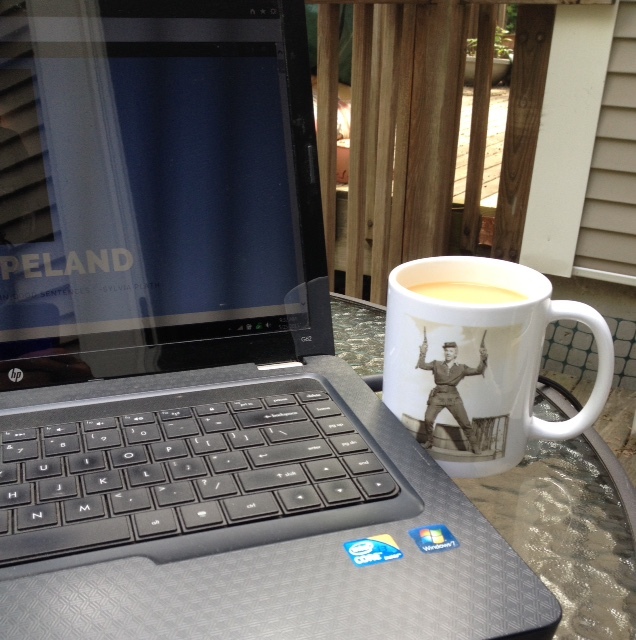 So as I sit on my lanai, sipping coffee from my Doris Day as the gender-bending Calamity Jane coffee mug, preparing to revise a short story, the brave members of the US Military, living and gone, are in my heart with a heavy debt of gratitude. Previous Article The Revelation of Beatrice Darby Book Signing!